Winter’s are those time of the year when you have your maximum concentration on warm clothes and food that makes you feel warm but is easy to make. Standing in the kitchen for long hours in the chilly weather is quite a problem. You Might Also Like: How To Stop Binge Eating! 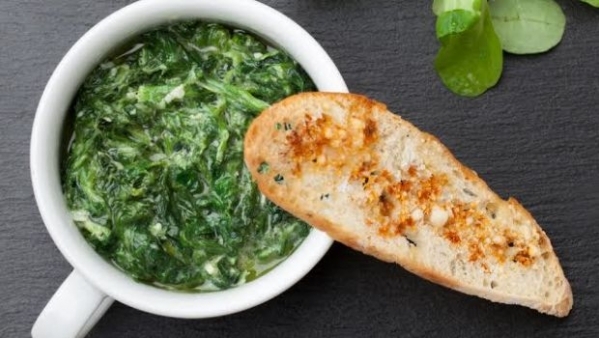 The best thing of the season is spinach, healthy and warm. This recipe is simple and royal to serve to your guests for dinner. Add mustard oil, brown cardamom, Kashmiri chillies, garlic, spinach and little salt and water in a pressure cooker. 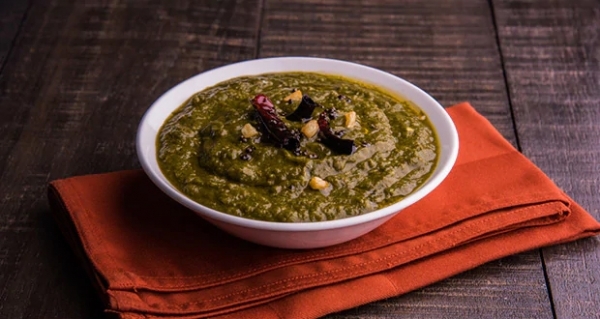 Let spinach cook well with the ingredients in a pressure cooker. Rich in proteins and carbohydrates. Help you to keep your body warm during winters. 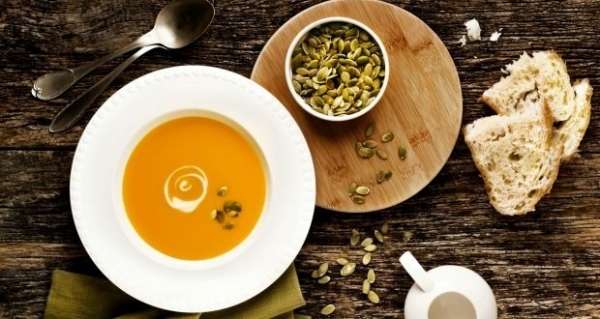 Pumpkin, potatoes, onion and apricot are the main ingredients in this recipe. Simple to make and delicious to taste. Add garlic, turmeric powder, chilli powder and garam masala. Add chopped pumpkin, tomatoes and stir for almost 2 minutes. Transfer this into a pressure cooker with washed lentil. Add 4 cups of water and cook till lentils are nicely cooked. Heat it in a pan and add salt to it. Serve it hot and garnish it with coriander leaves. It helps in regulating blood pressure as it is a high source of fiber, potassium and vitamin C.
If you are a Punjabi, this will be one of your favourite dinners once you try it. It is an authentic Indian recipe which can be easily prepared. Just follow the recipe. Heat the oil in a pan and add cumin to it. Further add bay leaf, ginger and garlic, and sauté it till it turns light brown. Add onions and sauté it. Add chaulai, salt, garam masala, red pepper, coriander powder and stir till well. Cook it well on medium heat. Keep it uncovered, and cook it till soft and cooked through. It helps in improving digestion, metabolism. Prevents heart attack and osteoporosis. This is a recipe of Uttar Pradesh made from the seasonal harvests. It is prepared with sweet green peas, ginger, garlic, turmeric, tomato puree and desi ghee. It is a tempting winter dinner recipe. Split the shelled peas in two lots, finely grind one half and crudely grind other. Grind the ginger, garlic, cumin, cloves, cinnamon, cardamoms and prepare a paste. Keep it aside. Add chaulai, salt, garam masala, red pepper, coriander powder and mix till well. Grind the onions and prepare a paste. In the remaining part of the oil used for frying onions, fry the mungoris on slow flame till crisp and golden brown. In a separate vessel heat pure ghee and add crushed asafetida to it. Add ground peas and sauté till the moisture evaporates and the paste starts sticking to the vessel. Now heat the oil in which the mangauris were fried again and add the bay leaves, ground onion paste, coriander, turmeric, chilli powder and salt and sauté until fat separates. Then add the onion paste and tomato puree and stir well till the ghee separates. Once done finally add the crushed peas, mungauris, 1-litre water and the garam masala paste. Cook on a dim flame till mangauris are tender and oil appears on the sides. Serve hot! It has low calories but high fiber and protein content. It is beneficial for protection against stomach cancer. 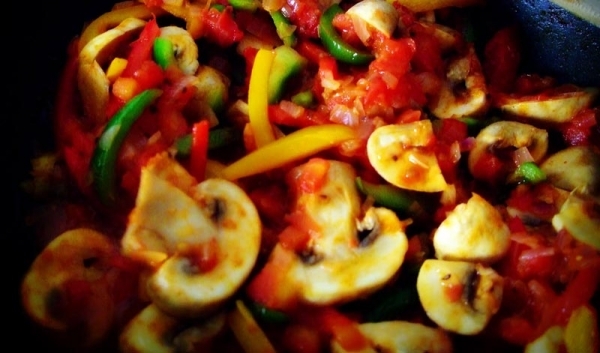 A cheesy warm winter dish with mushroom and capsicum makes it a perfect dinner recipe. Add the mushrooms and continue to fry till vegetables appear like they are coated with butter. Take it off the heat and add salt, pepper and white sauce to it. Transfer mixture into a serving dish that can be put in the oven. Sprinkle cheese, garnish with the tomato slices and bake in pre-heated oven for half an hour. It is ready to serve hot. ow in calories and a great source of fiber and protein. Helps to support the immune system and prevents damage to cells and tissues. Reasons Why Whisky Loving Girls End Up Being More Attractive For The Men! How To Stop Binge Eating!